Artwork is always fascinating not only due to the beauty of the art but also the symbolism. This post deals with random collection of works that were truly different and inspiring. We start with a picture that represents how love can make one person lose themselves to another. In this depiction, the dark skinned Lord Krishna becomes the shy Radha and is pictured with a veil while Radha becomes caressing and confident – embodying qualities of Lord Krishna. 2. While there is a notion of art being limited to paintings, sculptures and architecture, art can and does play a role in everyday life. The picture below represents the traditional game of snakes and ladders from the 19th century AD. Only here it is within a cosmic man thus depicting that the game of life is being played. The game was used to teach morals and values to youth. 4. Geometry and symmetry in depicting Buddha. 5. 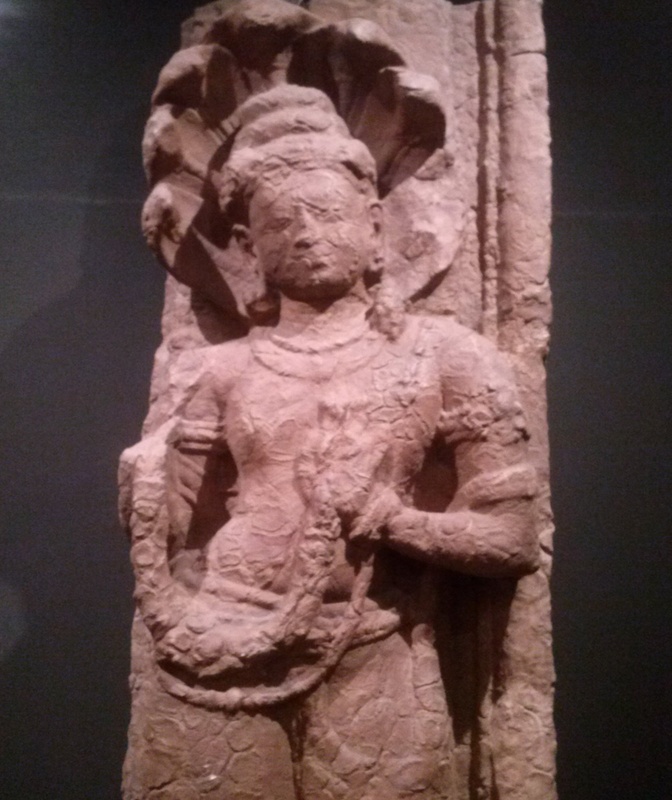 An Apsara sculpture from Khajuraho. Was on the ceiling thus intricacies could not be viewed. Recently it has been found that the sculpture had markings that changes the way the artist and the sculpture is perceived. 6. Upon closer examination of the sculpture, one can see that nail marks have been made on the back & neck of the sculpture. The placement of these marks and how carefully they have been made quite changes the meaning of the sculpture (which is open to discussion).